Kristen and I have been tirelessly working on paintings this last few months for our first art show together! 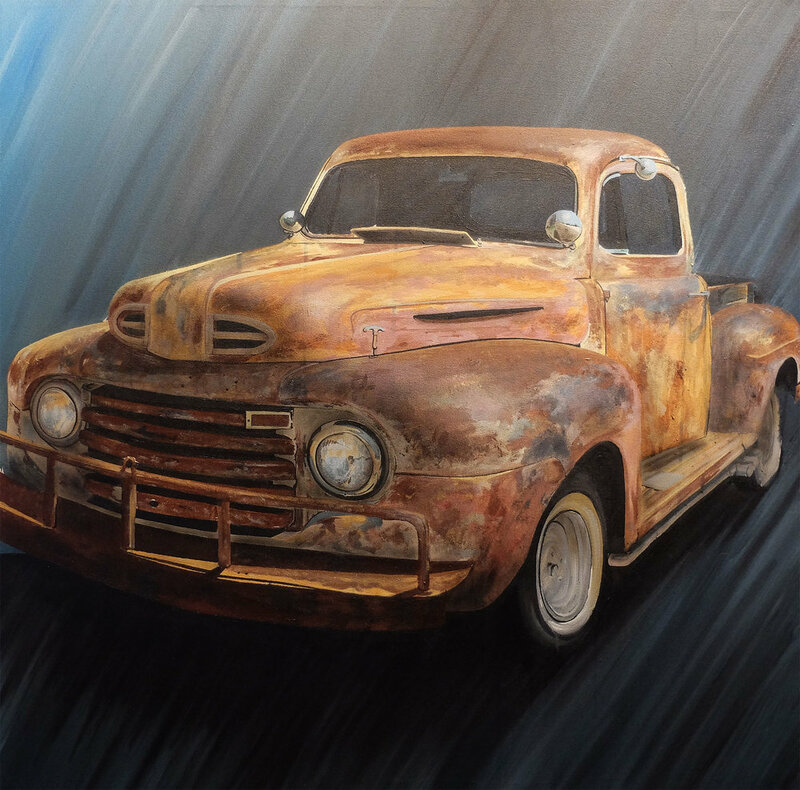 I like painting automobiles and she uses horses as her main subject so we decided to dub the show, “Horsepower.” The show is currently hanging at Firehouse Art Center in Norman and will stay up until October 19th. Feel free to visit the show any time during regular hours, or join us for a closing event on October 19th. “NORMAN, OK – In their first exhibition together, husband and wife duo Kristen Vails and Dusty Gilpin bring “Horsepower” to the Firehouse Art Center. Horsepower is on display fromSeptember 14, 2018 to October 20, 2018, with a reception on Friday, October 19, 2018, from 6 to 9 PM. 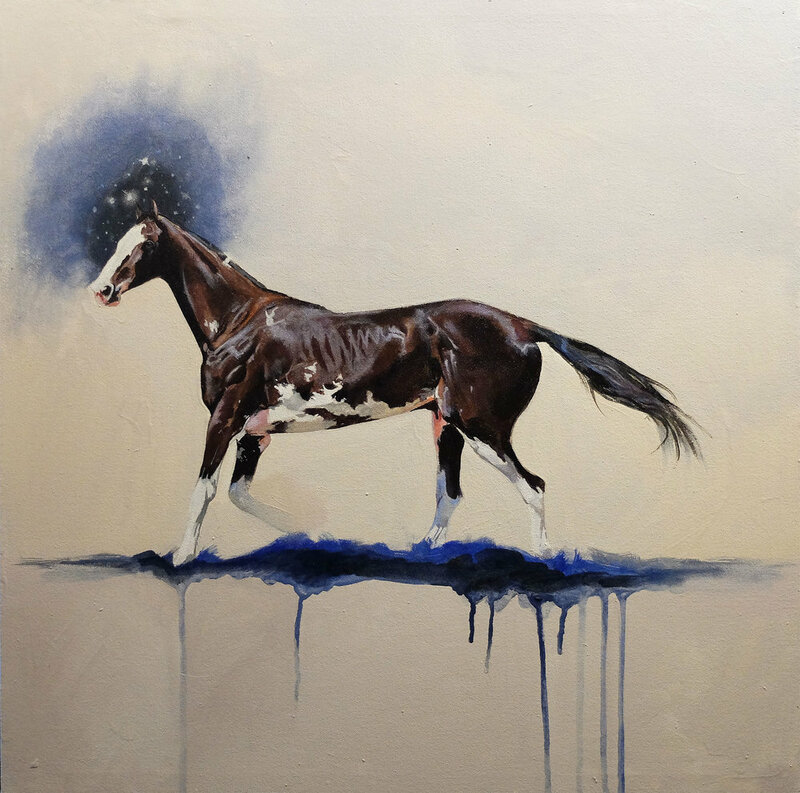 The exhibition juxtaposes images of horses and automobiles, rendered in the unique and contrasting styles of Vails, who explores painterly brushstrokes and the use of symbolism, and Gilpin, whose mixed artistic background is evident through photo-realistic renderings and street-style spray paint.